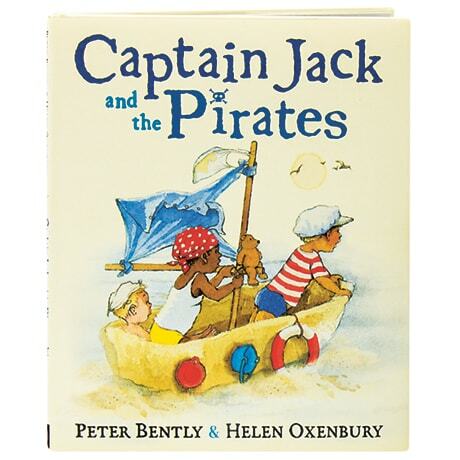 (Nominated for the Kate Greenaway Medal) Ready for an adventure, young Jack, Zack, and Caspar are building a ship; because it is made out of sand, however, they will need plenty of imagination as they embark. Running afoul of pirates and wrecked by a gale, the three boys come ashore and begin to explore. When the boys think that the pirates have found them, they are instead greeted by very familiar figures—bringing ice cream. This book for readers and listeners up to 6 features Peter Bently's rhythmic verses, while the two-time Kate Greenaway Medalwinning author of The Quangle Wangle's Hat and Farmer Duck contributes beautiful pencil and watercolor illustrations that strike just the right balance between fantasy and reality.